If you’re looking to purchase a car, buying a used vehicle is a great way to save money. Used cars are usually cheaper than new ones and you may be able to buy them without having to take out a big loan. By purchasing a used car, you can also avoid paying expensive dealership fees that are often hidden. It is always a good idea to test the quality of a used car before purchasing it as its previous owners may not have maintained it with regular inspections and servicing. A used car will have a certain amount of wear and tear and may have damage caused due to floods or rust. It may even have been in accidents or it may have had original parts replaced. For this very reason, it is important to know a used vehicle’s history before committing to a purchase. Use the following guidelines to judge the condition of a secondhand car and make an informed decision before purchasing it. Once you’ve identified the type of car you’re considering for purchase, do some research about it. This will give you some basic information about the performance of the specific make and model of vehicle you’re going to purchase. Step 1: Gather information about the car. Identify the year, make and model of the used car. You can obtain this information from the person or dealership selling the vehicle. Step 2: Search for online reviews. Read online reviews about the specific year, make and model that you are interested in. You can look for any recalls, or reoccurring problems faced by the particular vehicle or brand. If you identify any problems in the reviews, be sure to ask the owner whether he/she has encountered those particular problems with the car that is for sale. 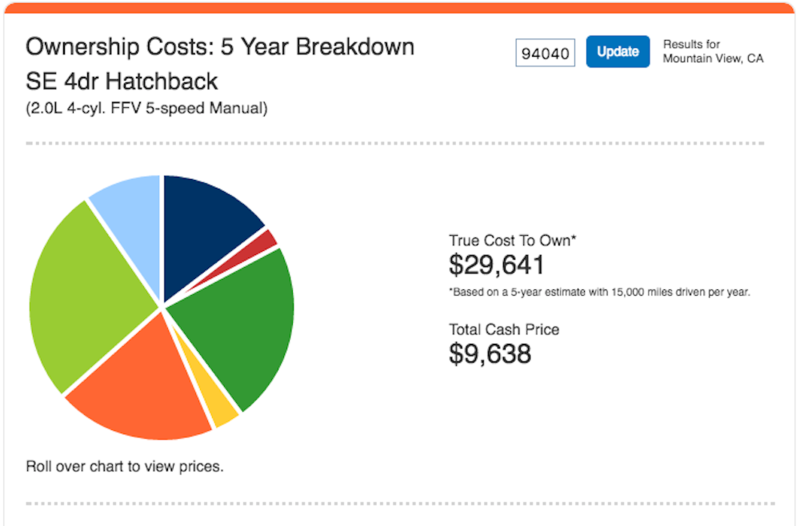 Step 3: Determine the real value and true cost of owning the car. You can use online calculators like the appraise used cars calculator or the True Cost to Own calculator to determine the true cost of owning that particular type of used car. 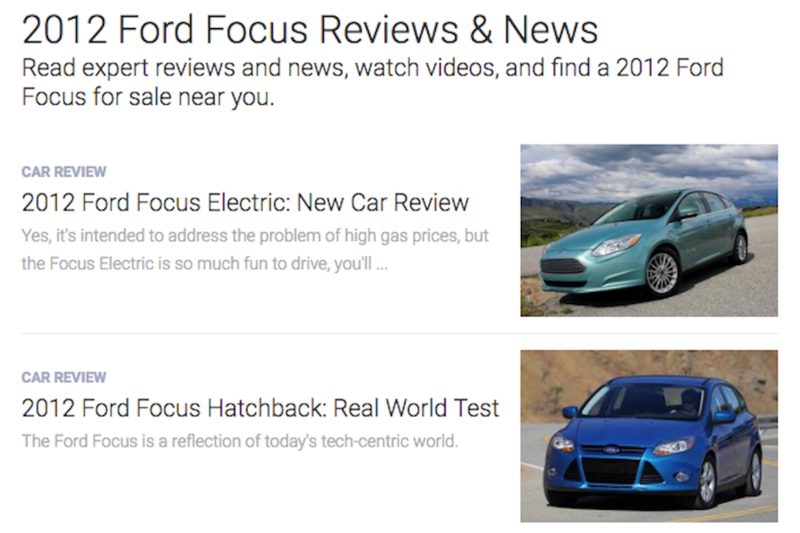 Step 4: Look at the prices for the same type of car in your area. Check the prices in listings provided by used car lots and other private sellers to have an idea of the price range for the car. Tip: If the car you’re considering is significantly lower or higher in price than the average in your area, be sure to ask the seller why there is such a big price discrepancy. A lower price may be due to major mechanical problems that will need to be addressed before the car can be driven. Step 5: Run the VIN number. This will give you the vehicle history report which can tell you if the car has been in any reported accidents or has had the odometer illegally rolled back or marked as a salvaged car. You can run VIN numbers at websites like Kelley Blue Book or AutoCheck. 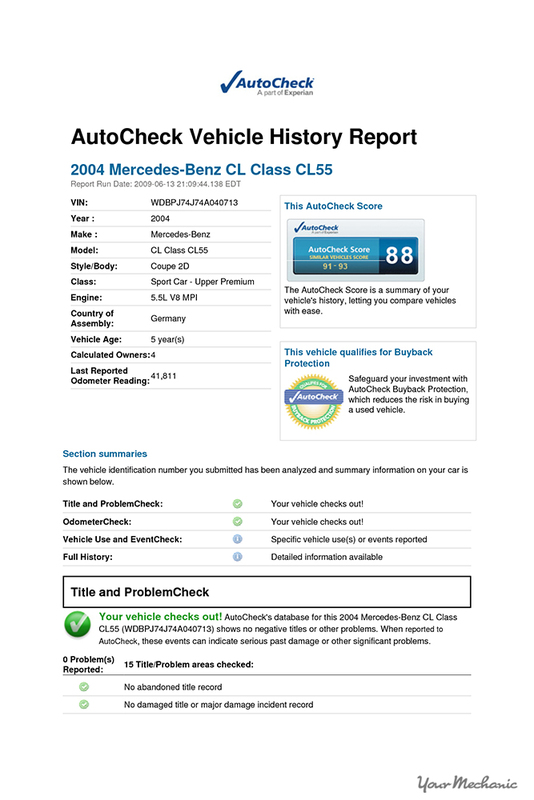 You can also check the vehicle history report for a used car to find its ownership history and title history. After you’ve researched about the car you’d like to purchase, try to directly meet with the seller and gather information about the history of the car. Step 1: Ask for maintenance records. If the owner has records of regular oil changes, fluid checks and other repairs, then you have proof that the car has been maintained regularly. If the owner has no records, you may not be able to guarantee that the car has been maintained regularly. Step 2: Check the miles on the odometer. On an average, cars are typically driven around 15,000 miles a year. 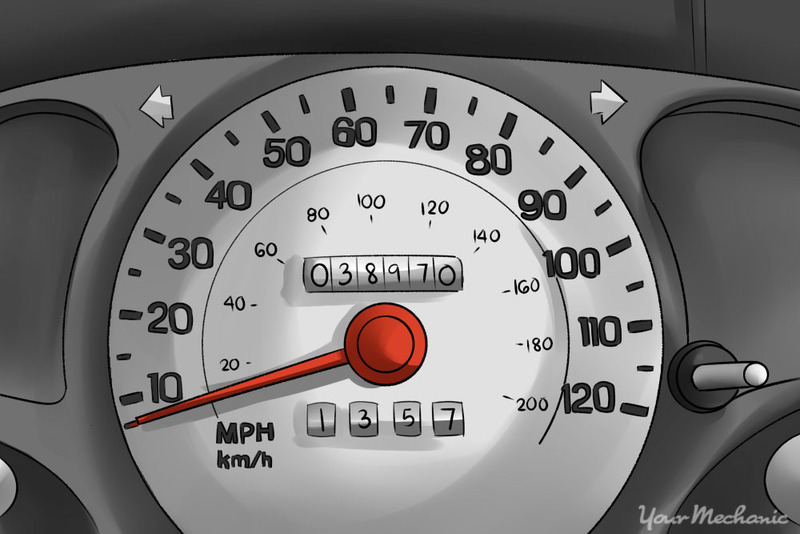 To determine whether a used car was driven more or less than 15,000 miles per year, divide the number of miles on the odometer by the approximate age of the car. Step 3: Check if the car has been driven in harsh conditions. Ask the owner if the car has been driven in any extreme weather conditions, like steep terrains, off road or salted roads as these conditions can cause extra strain on a car. When viewing the car, make sure to look at the outside and inside of the car to evaluate its condition. Look for major wear and tear or obvious damage that may affect the value of the car. Step 1: Check the exterior of the car. 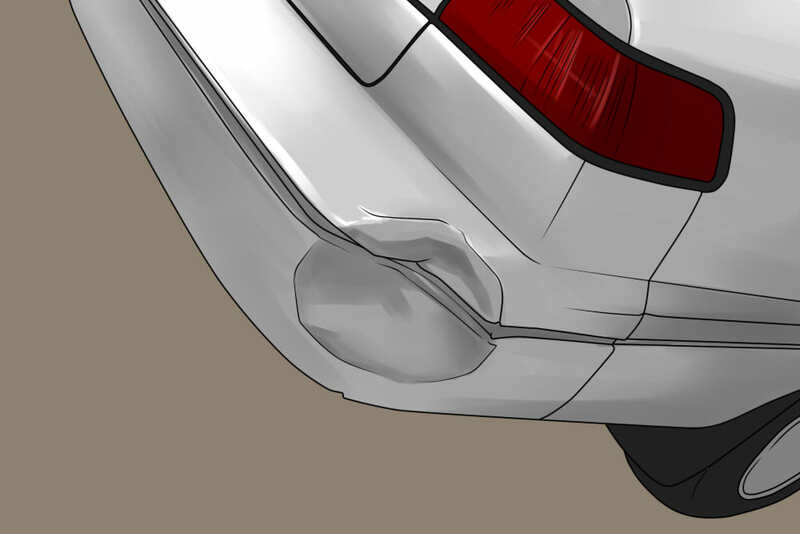 Look for any marks or damage that shows the car may have been in an accident or that it may not function properly. Step 3: Look under the hood. 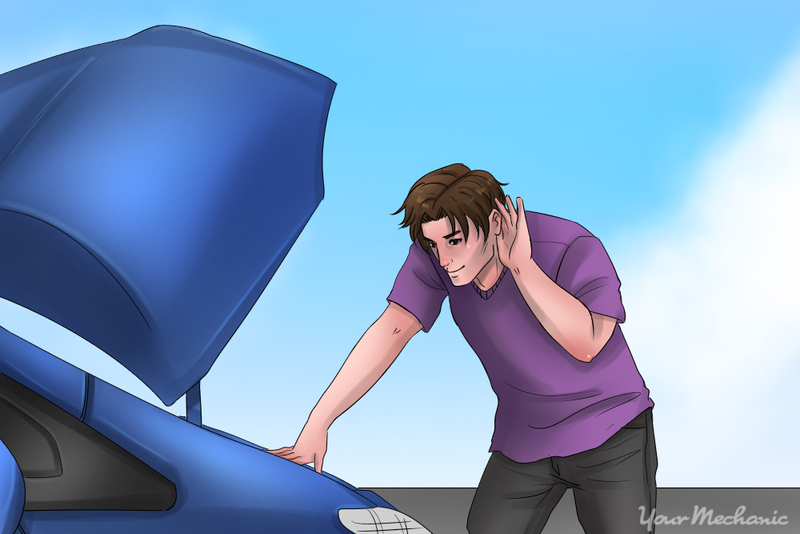 Ask the owner to start the car and listen for any unusual sounds coming from the engine. See if there are any problems with the engine. Ask to look under the hood and inspect the engine bay. Check the engine oil — if it is discolored, there may be serious problems with the engine. Check the color and level of the brake fluid to make sure that it is not contaminated and that it is sufficient. Look at all the hoses and tubes and check for any cracks. Take the car for a test drive. Be sure to take it on the freeway for a mile or two to test how the car drives at high speeds. Notice how the car handles and ensure that the tires are not slipping or skidding. Use the brakes abruptly to test if the car brakes smoothly and on time. Turn the AC and heater on and off. Switch on the radio and check for any crackling sounds from the speakers. Tip: After driving the car, get out and look underneath the car. Look for any fluids that may be leaking like oil, coolant or water. If possible, have the car inspected by a professional. 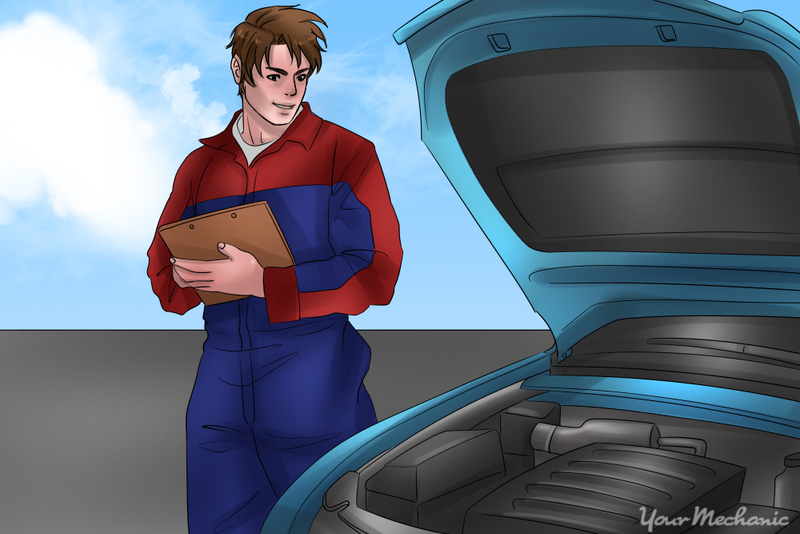 A professional mechanic, such as one from YourMechanic, will be able to inspect the car for obvious problems and determine whether the car is in an acceptable working condition or not. Tip: After researching, inspecting and test driving the car, you should be able to negotiate an appropriate price for the used vehicle. Any difficulties with the car should be accounted for in the price. Tip: When purchasing the car, the owner should have the original title and registration paperwork with them. 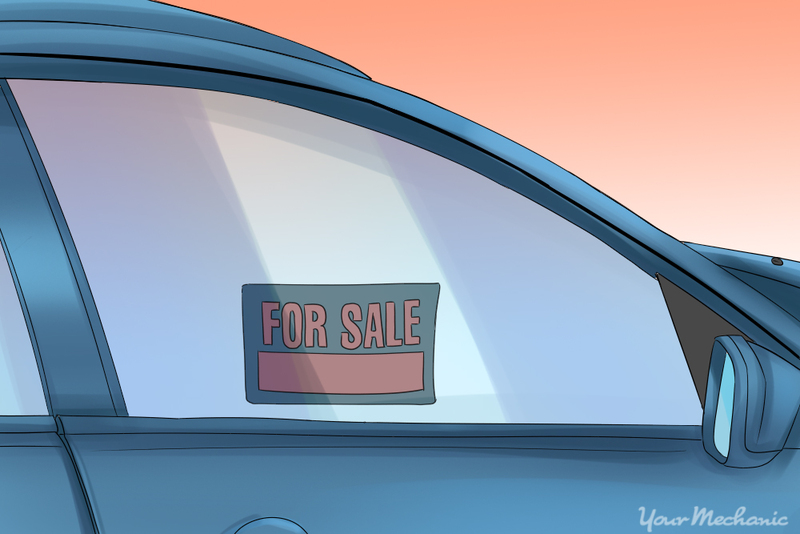 If the owner can’t provide this information, you will need to establish who the car is currently registered to or choose another vehicle to purchase. Purchasing a used car is exciting, but it comes with certain risks. Before making a decision about a used car, it’s important to determine its performance and physical condition by following the steps outlined above. Be sure that you haven’t skipped any of the steps so that you don’t miss a potential problem with the used car that you’re considering. Hiring a certified mechanic is a great and convenient way to get a professional opinion about the working condition of a used vehicle. Q: is 2007 Lincoln MKZ a good buy for $1900 with that many miles on it? and will it last till 300,000 miles?